T3 Liothyronine Lioprime has gained popularity not only among people with insufficient thyroid function, but also among professional athletes. And the secret is simple here, increasing the body's metabolism and speeding up all the reactions due to additional hormones, the athlete achieves two goals: significantly accelerated synthesis processes allow you to build muscle faster and at the same time the same hormone accelerates the breakdown of fats in the body and release additional energy. As a result, the athlete feels tremendous performance, lift mood, lightness and at the same time quickly increase power performance. Typically, bodybuilders combine Lioprime with the usual intake of steroids, such as Anapolone or Stanozolol, to further enhance the effect. In our body-strong.net you can see other preparations based on Liothyronine sodium - a little in a different package, for example: Thyro3. As well as fat burners on a different basis, such as methydren, clenbuterol and others. How to apply Liothyronine Natriya. However, back to our drug. It should be taken carefully, preferably by consulting with a specialist. 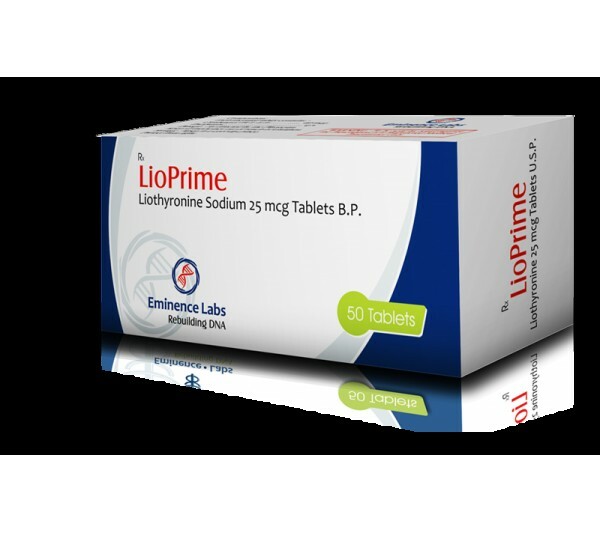 The fact is that the positive effects will manifest, but you cannot take Lioprime 25 mcg for more than 6 weeks, otherwise the thyroid gland will stop working properly. The drug intake usually starts with a minimum dose of 25 mcg per tablet and one more tablet is added every 3 days and the dose is gradually brought to 100 mcg per day. After some time, we also gradually reduce the dosage to 25 μg. This technique allows the body to easily get used to changing hormonal levels.